Inspired by one of my mother’s superb rhubarb tarts, this week I paid a visit to Roland Newenham at Coolmore Gardens in Carrigaline. Roland is one of Ireland biggest growers of rhubarb, in fact he’s nearly 6’5”! 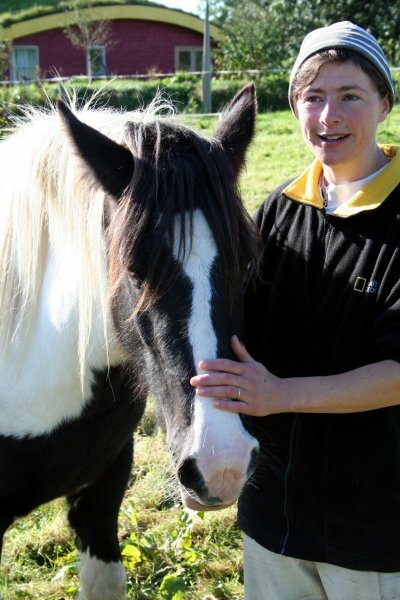 He also happens to have 34 acres of this wonderful dessert vegetable, which is the first tart filling to come into season and one which you can usually expect to have been grown in Ireland. Rhubarb has a long harvesting season, particularly in West Cork, where Roland has a month’s head start on other major growers near Dublin, his first crop arriving at the end of February. He can continue picking until the end of September/early October. Once the plant crown is established, rhubarb is a low maintenance crop that fends off pests, weeds and disease without assistance. Each crown can produce for at least 10 years and so rhubarb is best planted at the end of the garden where it can be left alone. Roland tells me that his rhubarb is all but organic apart from the addition of some nitrogen each year. He covers the plants in straw in January, and this acts as a mulch preventing weed growth and adds nutrients to the soil. The straw covering also has a slight “forcing” effect, encouraging earlier growth. From the end of February, Roland’s team pick the fields in rotation, harvesting from each plant every 6-8 weeks, although he admits he has more planted than he needs “We could get away with 20 acres, but I let it rest longer, that way we’re not pulling the guts out of it”. Roland sells most of his rhubarb to Musgraves via Fyffes (Total Produce) and supplies the whole country in March until the other growers come into crop. He finds the central distribution system very straightforward to work with and also sells leeks and Brussels sprouts in this way. His order comes in each day at 3pm by which time most of it has been picked during the day. He delivers the following morning to the distribution centre in Cork. The rhubarb and other vegetables are on the shop shelves the following day. It would be easy to think that rhubarb has been a part of our food culture for ever, so incomplete seems the country garden without it. And yet rhubarb only arrived in the 1800s having travelled the Old Silk Road from Asia, where it is not widely eaten but used for its medicinal value. Let’s hope that our retailers behave responsibly and fairly in dealing with our growers or we may have to start trucking rhubarb down the Silk Road again. Of course that rhubarb will be more than 2 days old and not as easy to tart it up! Spring has finally sprung, there is warmth in the sunshine and life in the fields. The liveliest of springing is from lambs, most of which have been born in the last few weeks. Early lambs, born in January are just reaching maturity now and from this week on Spring Lamb should be available in our local butchers and meat counters. Lamb is my favourite meat, so sweet and flavoursome and along with beef tends to be the best meat we produce in Ireland. 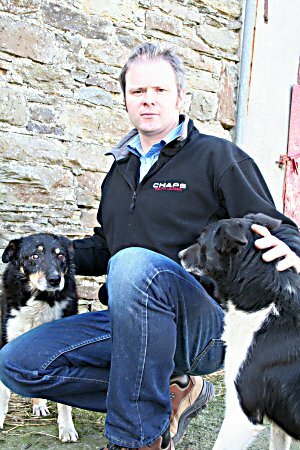 I visited Tim Keohane at his farm near Clonakilty to find out a bit more about lamb farming in West Cork and to see what Spring means to him. Beef is the main income on the Keohane family farm, but in addition to the cattle Tim and his father John have 120 ewes, producing about 200 lambs each year. They are close to finishing lambing and the last few weeks have been the busiest period of the year, during which they’ve had to keep a 24 hour eye on their sheep. Apart from helping with any difficult births, it is also very important to attend to the bonding between mother and offspring. Tim explains that one of the biggest threats to a lamb’s survival is rejection by its mother. This can happen for a number of reasons including if it were to inadvertently suckle from another ewe, which can easily happen when they are inside in close quarters. Rearing rejected “orphan” lambs is a time consuming task that Tim can ill afford and it can be difficult to get them to a good weight in time for market. One solution for orphaned lambs is fostering to another mother by covering the lamb with the afterbirth from a new born at time of birth. The foster mother will be fooled by the smell into accepting the orphan as one of her own. Fostering is also used when the birth of triplets may put too much strain on a ewe and one lamb is fostered out to a mother with a single birth. After a few days inside mother and lamb are released to the grass, so with Tim’s dogs Max and Ben for company we went out to look at the rest of the flock. Ben is semi-retired now having injured his back legs in an accident, but Max was bursting to show what he could do and with a few calmly spoken commands from Tim he brought the flock to us. Tim’s sheep numbers have fallen back a lot from what he used to keep – 500 ewes at one stage, and the profit per lamb is very low, each fetching €70-80 when they are sold in the early autumn. But it was evident from watching Tim work in partnership with the dogs that there’s more to this than money. For me it was a real treat to see a trials standard sheepdog in action and for Tim a source of quiet pride. He and the dogs had been in constant communication since I entered the yard and Tim was particularly conscious of the relationships and hierarchies between the dogs themselves. He told me that he finds the hands on nature of sheep rearing satisfying, if demanding, in comparison with the mechanised business of managing cattle. Raising lambs profitably is very dependent on the markets they find, the optimum being local butchers. Butchers like larger lambs with a bit of fat on them, typically from 45-50kg, whereas factory lambs will usually be sold at a liveweight of 42kg. These lighter lambs suit the supermarkets better and the carcasses do not have as much fat for trimming. Of course individual joints sold in a supermarket are also going to be cheaper simply because they are smaller. Tim remembers when there were up to a dozen butchers buying at Bandon mart, creating a bit of competition and happy to buy larger lambs. But the number of butchers has declined sharply in the last 20 years, falling from 7 in Bandon to 2 now. 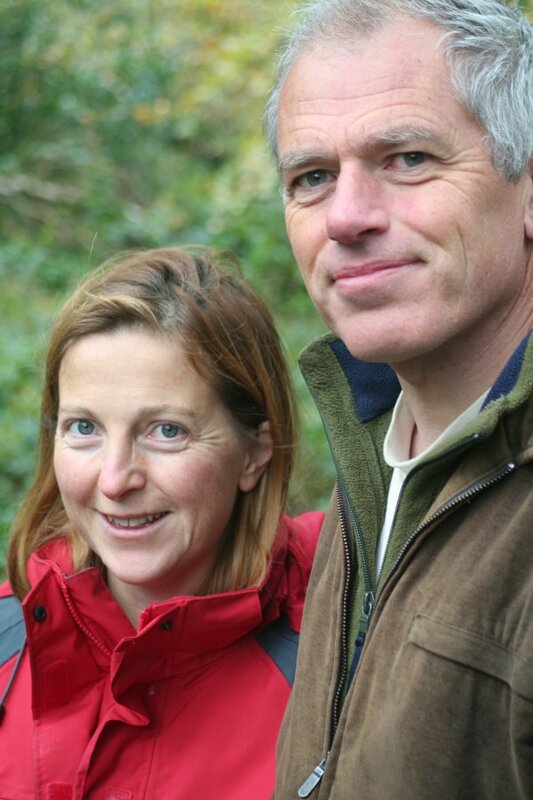 The trend for buying smaller lambs in supermarkets works against an operation like Tim’s. To service this market profitably a farmer might need upwards of 1000 ewes and be located closer to a main factory, the nearest being in Wexford. Easter came a little soon for Spring Lamb in 2008 but it should be plentiful from the end of March. When it is in season the more delicate tasting Spring Lamb is a delight but do look for meat with a generous coating of creamy-white fat, for which your local butcher is generally the best bet, a conclusion which brings me neatly to my other visit of the week – Michael Twomey in Macroom. St. Patrick’s Day on the horizon and I’m wondering what we to eat on our national day? What is our national dish? Well, from a radio poll last summer it turns out that Thai Green Curry is the nation’s favorite dish, sorry, but I can’t accept that and it certainly won’t fit the occasion. I reckon the two prime candidates for a national dish are Irish stew and Bacon and Cabbage and of these the latter is probably far more regularly eaten. I accept that as a national dish Bacon and Cabbage probably doesn’t necessarily represent the pinnacle of our culinary ambitions. We might not choose to serve it to visiting heads of state, but we do relish it in our homes. And for an occasion like St Patrick’s Day, Bacon and Cabbage can be glammed up a bit, to which end the recipe below might be a good start. If I was to follow the line of previous articles featured here I would have headed west to Gubbeen farm near Schull where Fingal Ferguson raises pigs on a modest scale in cosy conditions both outside and indoors. 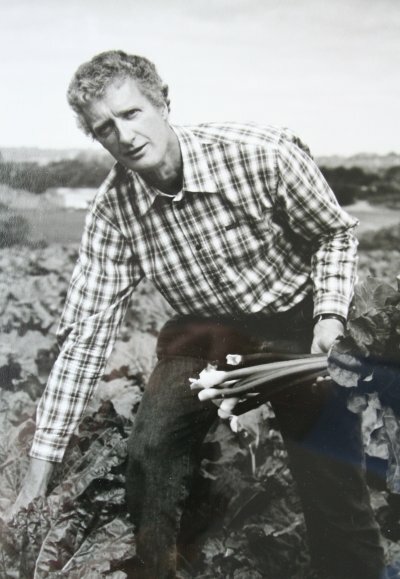 I would have written a story about his passion for quality food and his infectious enthusiasm for the revival of farmers markets and artisan food production. But if I’m honest that’s not the bacon we buy in our house. Don’t get me wrong, Gubbeen bacon is very tasty and when available is not unreasonably priced, but I guess like most people the majority of our food shopping fits into routines. In our house we buy our meat from our local butcher and happen to like the bacon he sells. He buys from a nearby bacon factory, but it doesn’t say much on the label about its origin. To properly explore its place in the food culture of West Cork I needed to find out more and start with talking to a farmer. I decided to find out a bit more about mainstream pig farming in West Cork and paid a visit to James Ronan in Rosscarbery, where he raises pigs from about 200 sows and also milks cows. James developed the enterprise from his father who had started it in the 60s when he brought in pigs for fattening. By Irish standards, James’ pig unit is relatively small – the average herd size in Ireland is 355, which is the largest in Europe. Pig farming at this scale is quite an intensive operation. It requires a rigorous adherence to strict management practices for hygiene, feeding and monitoring as an outbreak of disease in the herd could spell disaster. At the same time the rewards are very low at present. In fact, that’s putting it mildly. Just last month the IFA reported that pigmeat producers are facing an unprecedented crisis, with prices for pig meal having risen by almost 50% in recent months due a world shortage in wheat. This increase has not been offset by a corresponding increase in the price of the meat, which instead has fallen by 8% year-on-year. At current prices producers are likely to be losing about €20 per pig produced. There is a real danger here that pig farming in Ireland be wiped out if this shortfall continues. James sells all of his pigs to Staunton’s in Timoleague, without which he would have to transport them 4 hours to either Roscrea or Waterford. Amid news of closures of pig processing plants around the country, Staunton’s is a real success story having tripled it’s workforce in the last 4 years on the back of a major investment programme. James attributes this success to very effective management and the long term vision and backing of Barryroe Co-op, the firm’s owners. West Cork has about 13% of the national pig herd, sustaining 240 jobs within the farm gate and up to 1300 at service and processing level. 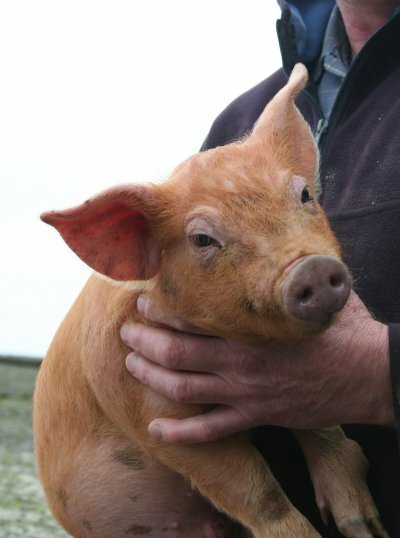 Staunton’s buy about 95% of pigs raised in West Cork and are extremely committed to local farmers. By contrast most of the well established Irish bacon brands import bacon from elsewhere in Europe. James fervently believes that Irish consumers should be given the choice of buying Irish bacon but are being denied this by the major brands that prefer to supplement their supplies with imports when it suits. These brands prefer to promote brand rather than the origin of the meat. “We should let the consumer decide for themselves on quality and value, based on having the full information on the labels. If you don’t know the farm of origin the only way to guarantee that you are buying Irish is to look for the Bord Bia Quality Assurance Scheme mark”. So what’s the status of Bacon and Cabbage as a national dish for St. Patrick’s Day? Well, for now at least we still have Irish bacon and at this time of year we have lovely crisp bright green Savoy cabbage. But if we want to keep enjoying Irish bacon we need to check what we are buying. The Bord Bia mark employs the Irish flag, an appropriate call to action for our national day!